Unless you have been living under a rock, you know that on Tuesday, the United States Department of Justice issued a modified civil complaint that included Howard Lederer, Chris Ferguson, and Rafe Furst. 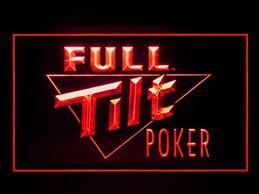 Furthermore, it was revealed that Full Tilt not only had a shortfall of funds for U.S. players, but for all players worldwide. What is now being referred to as a Ponzi scheme by the DOJ has cause major outcry from both players and poker advocates for the DOJ to used seized money to pay back players and for owners to pay back money they were paid. However, there are a few realities that I wonder whether players and advocates are considering. Note: I do not have any insider information at the DOJ nor do I know the true financials of anyone involved. Any speculations regarding financial numbers is just that and based on the individuals involved, their reported lifestyles, and similar cases in the past. First, how much money is potentially available to pay back player. An estimated $390.6 Million is owed to players worldwide and as of June, there was only $6 Million left in Full Tilt bank accounts. Considering that they paid the AGCC their license fees and other expenses, we can probably safely assume that the company is completely busto now or not far from it. How much is in the accounts seized by the DOJ. It is estimated around $150 Million. That is probably a hopeful estimate, but for the sake of argument, let’s assume that number is correct. If the DOJ gets what they want regarding penalties, where is that money going to come from. They can’t get it out the company at present. You can’t get blood out of a turnip. The money is going to come from the account. We might get fooled and the DOJ release those funds to pay back players, but I don’t see them releasing the full $150 Million. Maybe half. So let’s say $75 Million. Next, let’s take a look at owner distributions. $443.8 Million was distributed to owners over the years. However, the DOJ is only going after around $120 Million of that total. I do not know the financials of any of the men involved in the civil suit, but I would estimate that the DOJ recovers about half of that total as well. In other words, they will get about $60 Million. If my estimates turn out to be true that would give about $135 Million to return to players. That is less than what is claimed to be owed to the United States players alone. Players all over the US and even the PPA have been calling for money to be released by the DOJ and the managers to repay what they have earned in order to pay players back. There is one problem with that request. The U.S. is not the only place now affected by this problem. If the modified complaint submitted by the DOJ is accurate, the reality is that the funds were not segregated and so we have no real idea whether the funds are exclusively U.S. As such, U.S. players do not have an exclusive claim on the funds. So who gets priority. Sadly for U.S. players, I believe that the rest of the world should get priority due to the fact that it is entirely legal for them to play online poker. Why are we going to penalize them when we knew that we were helping Full Tilt circumvent the law. Hopefully my numbers regarding how much the DOJ will be able to recover is conservatively low and they get much more. Even with that said, I do think that a priority should be made to pay back the rest of the world and then pay the United States. This entry was posted on Wednesday, September 21st, 2011 at 4:44 pm and is filed under Poker News. You can follow any responses to this entry through the RSS 2.0 feed. You can leave a response, or trackback from your own site. nobody gets his money back including US players. You live under a rock! Its a shame to everyone who lost money even i lost a large amount but in my opinion how was i under american gambling rules here in canada???? and if the american government seized all this money why would american players get paid back when their laws affected us?? The problem isn’t that the American Government seized money from Full Tilt –the problem is that Full Tilt only had $60 million when they owed players a total of $390 million BEFORE Black Friday.